Ultra Fine point marks PERMANENTLY o­n almost any surface including glass, metal, wood, cardboard, ceramic and plastic. Ideal for use in home, office, school, crafts and hobby activities. 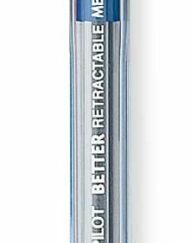 Extra Fine 0.5mm point for fine lines. Permanent waterproof ink. SKU: N/A. Categories: Pilot Pens, Pilot Permanent Marker Pens. 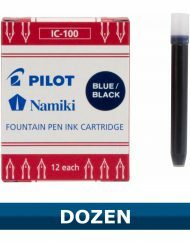 Tags: 44103, blue permanent marker pen, no xylene, permanent marker, pilot pens, pilot permanent marker pen, sca-uf. The Pilot Extra Fine Permanent Marker is ideal for use in the home, school, office or with crafts. Its xylene-free ink marks permanently on most surfaces and its extra fine point provides precise delivery. 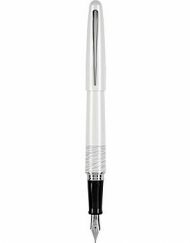 The first felt-tip marker was patented more than century ago. 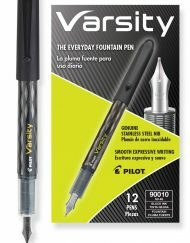 Much like today’s permanent marker, it had its own ink source and a tip made of a porous, hard-pressed felt fiber. 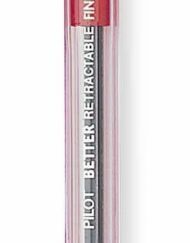 Prior to the 1990s, most marking pens contained a water-proof ink that was composed of common solvents such as toluene and xylene as well as a protective cap to keep the marker from prematurely drying out. These substances were easily identified by their strong, pungent odor. Since then, toluene (which has the potential to cause severe neurological damage) and xylene (which is labeled as a moderate hazard) have been replaced by formulations of alcohols. 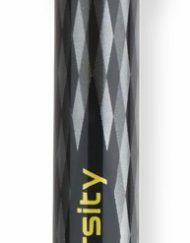 Due to the extreme popularity of a particular trademarked brand, many people still refer to a felt-tip marker as a “Magic Marker” which is a proprietary eponym. 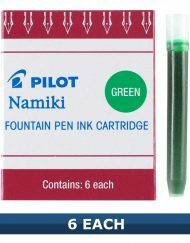 Today, Pilot offers a selection of permanent markers in various tip sizes, colors and metallic inks such as silver or gold.